"Hello, Allstate? I think I overheated my engine...can you- oh, that's fine, no rush." if she farts, then... BOOM!!!!!!!! Now where's that blasted noise coming from? Now where are those sandwiches at? 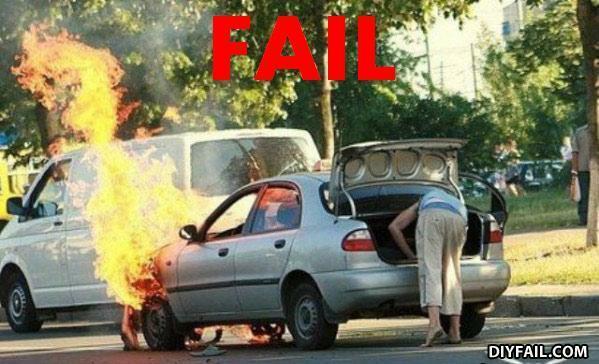 She's probably getting the fire extinguisher... which is exactly what I would be doing. now where's that raw chicken? Where is the- Hey, I SMELL BBQ PLASTIC! HONEY, DID YOU COOK FUCKY GOD AGAIN?! IT SMELLS LIKE METAL OF SILVER LIKE MY CAR!! Hold on, honey. Mommy needs to get her purse first THEN she'll come get you out of the car seat.